In this digitalized world, email communication has become the most popular means of communication. Many companies and business carry out their regular operations through emails. All the mails which you get from the other people will be get stored in inbox folder. 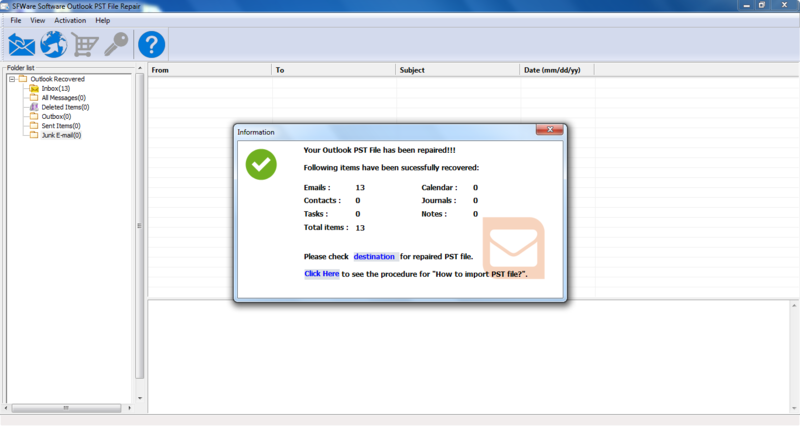 You can view such mails by just clicking on “inbox” from an Outlook application. If this email on Outlook inbox goes missing then many organizations have to face many hardships and think for the solution of email recovery to overcome such dire issues. Are the email messages not found on your Outlook inbox folder? How you are going to retrieve inbox mail from Outlook? Which is the better way of recovering mails from inbox folder? Do you want to get a unique solution for inbox mail recovery? Well, all these questions might have triggering a lot for you as soon as you loss mails from inbox folder. Nothing to worry, as you have arrived at the right place you get an ultimate solution for email recovery from Outlook inbox using a right Outlook PST recovery software. Whenever you delete an email from Outlook inbox, it is usually moved to Deleted Items folder. This Deleted Item Folder is like a Recycle Bin and provides you an offer of recovering emails from inbox deleted in haste or in error. On some occasion if you lost emails from inbox due to PST file corruption then also there is a very good chance of inbox mail recovery with the help of efficient PST repair tool. How to recover inbox mails? 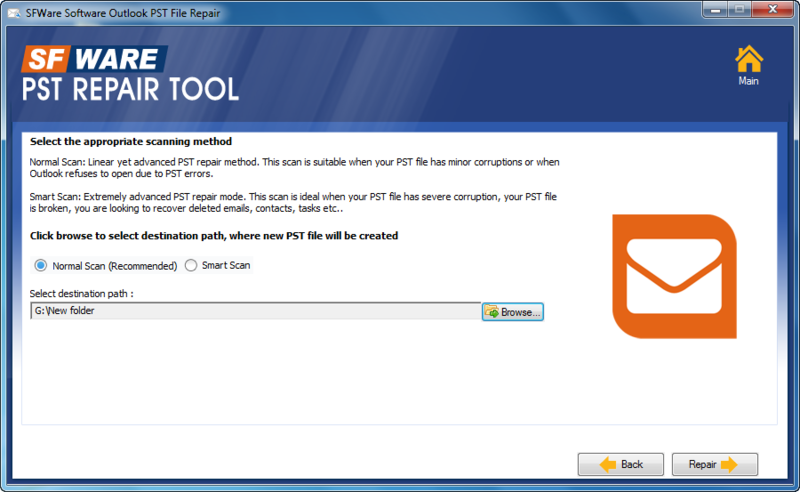 Outlook inbox mails lost after corruption of PST file can be easily recovered using SFWare PST Repair Software. It has a simple eye catching graphical interface that enables you to retrieve inbox mails with less effort. It is equipped with latest scanning algorithms. 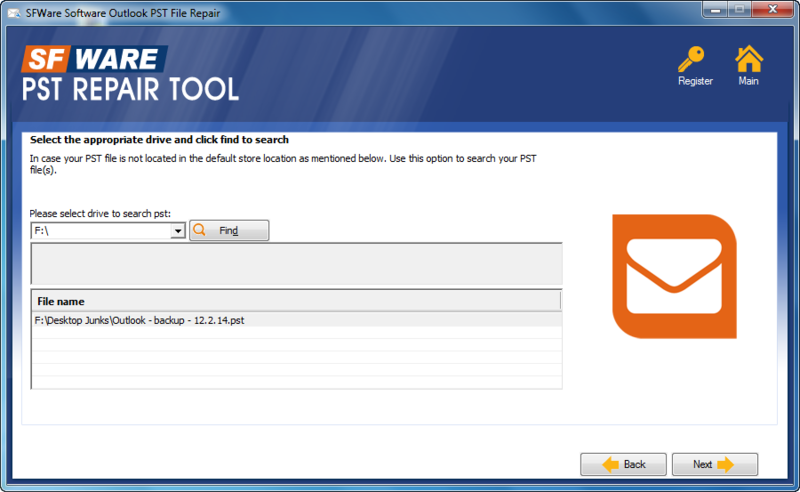 SFWare PST Repair Utility is developed by many industrial experts. It work with read only operation. Hence it doesn’t alters any original file while recovering inbox mails. 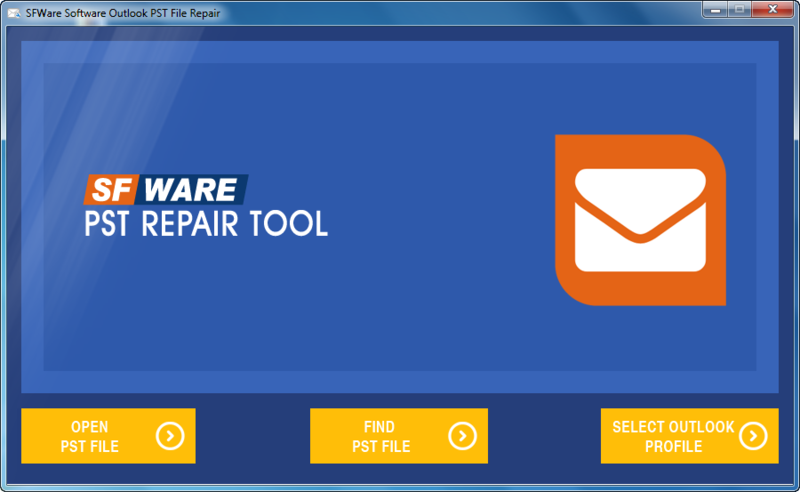 Therefore SFWare PST Repair Tool is considered as the perfect solution for inbox mail recovery.